Durango’s Laura Thweatt led the majority of the opening five miles at the Healthy Kidney 10K race Sunday at Central Park in New York City. She finished fourth and was the top American woman. 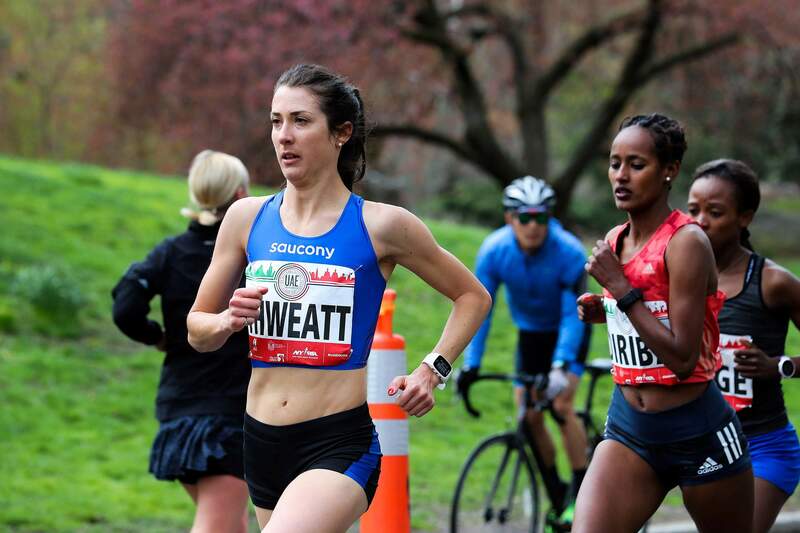 Laura Thweatt’s return to competition continued over the weekend, as she backed up a win in Chicago with a strong performance in New York. The 29-year-old professional runner from Durango toed the start line Sunday at the UAE Healthy Kidney 10K, a 10-kilometer road race through Central Park in New York City. Thweatt, who now lives and trains in Boulder, finished fourth in the women’s field in 32 minutes, 22 seconds. She ran a 5:13 mile pace and was the top American woman in the field. Ethiopia’s Buze Diriba had the winning women’s time of 32:04. Ethiopia’s Aselefech Mergia was second in 32:06, and Kenya’s Monicah Ngige was third in 32:15. Thweatt led the pack for the majority of the opening five miles. Two more Ethiopian runners, Sinke Dessie Biyadgilgn and Askale Merachi, finished behind Thweatt before the next American woman crossed, as New York’s Lindsey Scherf was seventh in 35:32. 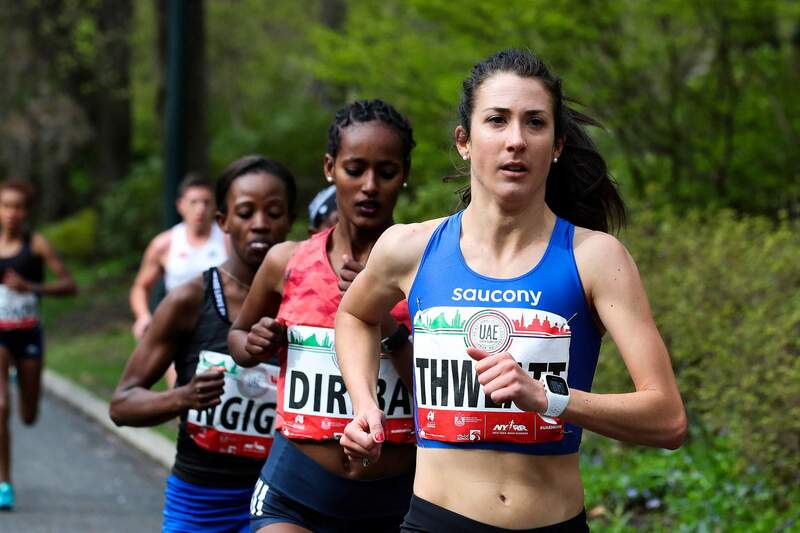 In only her second race back from a nearly year-long layoff with a pelvic injury, Laura Thweatt earned a fourth-place finish in a highly-competitive 10K in New York City. Kenya’s Rhonex Kipruto was the men’s winner, as he finished in 27:08 to beat countryman Mathew Kimeli by 11 seconds. For Thweatt, the strong result backed up a win March 25 at the Shamrock Shuffle 8K in Chicago. She has now increased her training to about 90 percent of the workload she had before a lingering pelvic injury sidelined her for nearly a full year. Up next for the 2007 Durango High School graduate is the Ottawa Marathon 10K on May 26. Thweatt’s coach, Lee Troop, said he hopes to up her training to 100 percent going into the race in Canada. Thweatt will target the 2020 Summer Olympics in Tokyo at the marathon distance of 26.2 miles. “Looking forward to enjoying the Big Apple for a few days with my parents before getting back to Boulder and building on this,” Thweatt said.